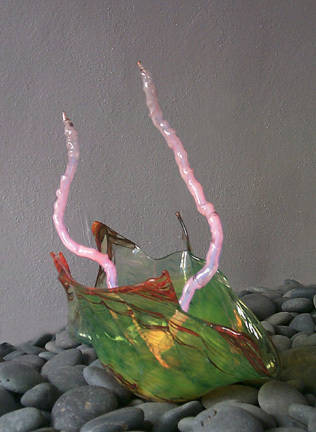 The Venusian Clamora are a continuation of a style first developed with the luminous Jellyfish, then in the "Venusian Rock Gardens" and "Venusian Swamp Gardens," that explores a world of fantasy flora and fauna. 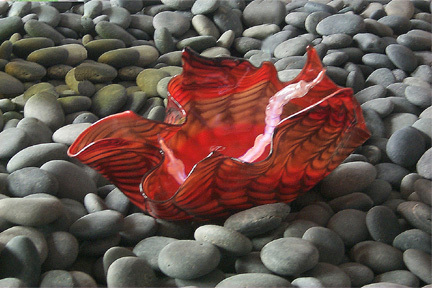 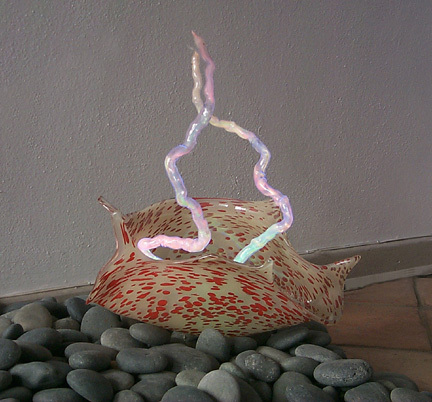 Notable about these pieces are the complex single-end neon tubes seen emerging from the giant clam-like glass vessels. 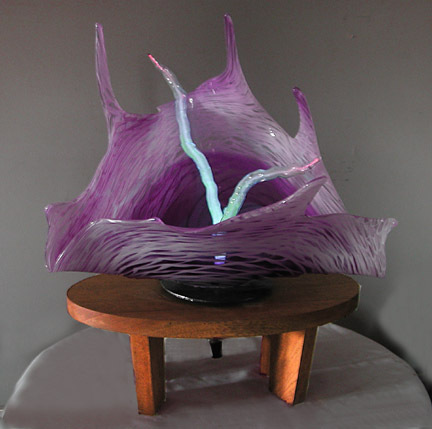 They are a difficult and unique style of blown tubing developed by the artist.The neon tubes are mounted with a wireless connection and are easily removed for shipping.The Venusian Clamora can be mounted on wood or metal or acrylic bases, depending on one's choice for display.